Some D.C. school kids were treated to a special Black History Month program -- with a go-go twist. 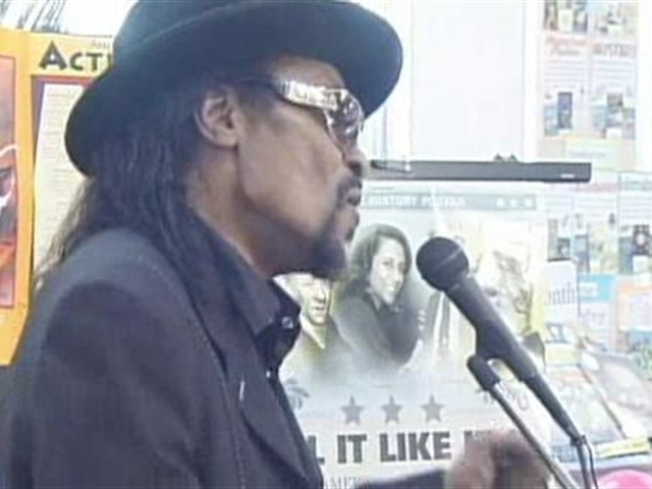 Legendary D.C. musician Chuck Brown, also known as the "Godfather of Go-Go," performed for youngsters at Martin Luther King Jr. elementary school in southeast. He also shared his personal affection for reading. Brown told the students that reading was an important part of his childhood and boasted that, when he was a kid, he was one of the best readers in his class. The program was sponsored by "Reading Is Fundamental," which provides thousands of free books to students at 47 public and charter schools through the District of Columbia. A new supply of reading material was dropped off today. There's another cool aspect to today's program. The entire event was shared online with an elementary school in Anchorage, Alaska, via Skype.